Green Grotto Caves and Dunn's River Falls Day Tour - Travel along the north coast to one of Jamaica's natural caves the Green Grotto Caves. 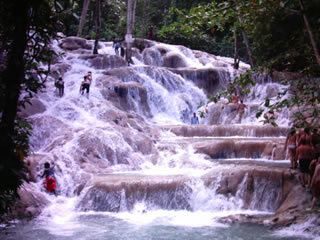 On the way back stop off for a refreshing climb on the world famous Dunn's River Falls. Green Grotto Caves Day Tour - Travel along the north coast to one of Jamaica's natural caves the Green Grotto Caves. On the way back stop off for a refreshing climb on the world famous Dunn's River Falls and finally stop for shopping in beautiful Ocho Rios. Negril Day Tour - Tour Negril's many attractions including Negril Lighthouse, relax on Negril's famous seven mile beach, visit the Duty Free shops, local craft market where you may purchase the world famous Blue Mountain Coffee, Jamaican Rum and many other souvenirs at local prices. 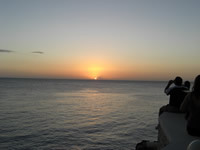 Finally unwind at the Rick's Cafe where you'll watch Negril's world famous golden Sunset. 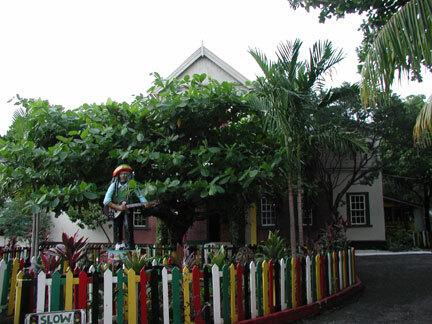 Kingston Day Tour - Tour Jamaica's capital city Kingston while visiting along the way various attractions such as Bob Marley's Museum, Devon House, Hope Gardens and many others. 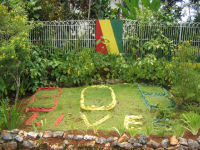 Nine Miles Bob Marley Mausoleum Day Tour - Visit the burial place of Reggae's Great Bob Marley, learn about the man behind the music and pay a visit to the world famous Dunn's River Falls on the way back. Martha Brae River Rafting Day Tour - travel along the north coast to the beautiful Martha Brae River for a day of rafting on the river to the sounds of nature while your guide fills you in on Jamaica's history. 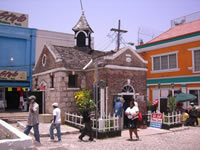 Falmouth Day Tour with the Outameni Experience - Visit one of Jamaica's historical towns learn about Jamaica in the olden days, see historical sites still standing and watch a live re-enactment of Jamaica through the ages from as early as the Tainos to the current day Rastafarians. Montego Bay Day Tour - Travel along the north coast to the second city Montego Bay where you spend the day visiting the home of Annie Palmer the White Witch Rose Hall, watch birds in the natural habitat, visit some of Montego Bays countless attractions and visit the Duty Free shops, local craft market where you may purchase the world famous Blue Mountain Coffee, Jamaican Rum and many other souvenirs. 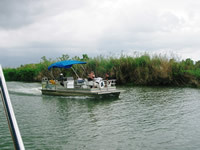 Black River is the longest river in Jamaica, is a great place to explore remote mangrove swamps and to catch a glimpse of native species such as crocodiles living in their natural habitats. A typical Jamaican lunch is included before a refreshing swim in the YS Falls. 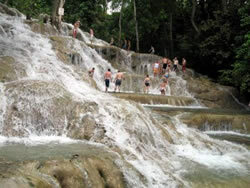 Then it's on to YS falls - said by name to be the most beautiful in Jamaica. You can swim and play in the cool, refreshing waters or just relax at the fall's edge.